Tucked deep in China’s interior, Sichuan is a rich agricultural basin the size of France, surrounded on all sides by a ring of nearly impassible mountains. These bamboo-covered slopes are home to the panda, its last refuge from a rapidly encroaching world. For man as well as beast, Sichuan has always been China’s place of refuge. Throughout history it has served as a secure supply base for China’s rulers, and a place to retreat and regroup in times of invasion and unrest. In World War II, when Japan occupied all of coastal China, loyalist forces relocated their capital to the Refuge to carry on the fight. During the Cold War, vital industries were purposely located in its remote valleys to protect them from the enemy. The Refuge is able to perform such a strategic role because it is virtually self-sufficient. 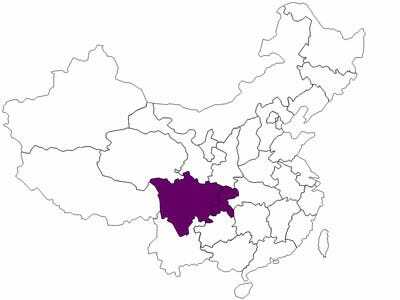 The ancient lands of Shu (centered on Chengdu, to the west) and Ba (to the east, around Chongqing) have been blessed with every ingredient essential to Chinese life—rice, wheat, silk, tea, salt, iron, pork. Safe like a tortoise in its shell, the population here prefers a relaxed way of life, composing poetry in teahouses or savouring the region’s famously spicy food. This splendid isolation has a downside: the region attracts little foreign trade and investment—before last year’s devastating earthquake put Sichuan in the headlines, most people outside of China were hardly aware it existed. Brain drain is another chronic problem: the region’s most talented and motivated young people tend to leave, seeking better opportunities elsewhere. Today, the barriers that have insulated the Refuge are breaking down. New ports, highways, and pipelines are connecting Sichuan to a wider marketplace, giving rise to promising new industries like natural gas, snack foods, and motorcycles, but also posing new challenges to the region’s sheltered way of life. How its people adapt to these changes will determine whether the Refuge prospers or becomes, like the panda, an endangered species.